Take a ride on Vienna’s famous Wiener Riesenrad Giant Ferris Wheel in the Prater Amusement Park without having to wait in line. Your admission tickets can be used at a time of your choosing, so you can enjoy spectacular views of Vienna’s UNESCO-listed monuments, Ringstrasse, and Baroque Old Town by day or night. 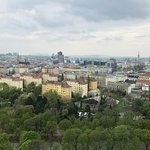 The Giant Ferris Wheel, trademark of Austria's capital city and a symbol of Vienna's world-famous Prater, creates a very special point of reference for every visitor with its unmistakable silhouette, clearly visible even from great distances. 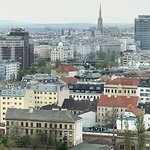 A circular trip on one of the most significant and fascinating structures in the world, and the unique view of the city of Vienna, make the Giant Ferris Wheel an absolute cultural and architectural must-see for every visitor to Austria's capital. Each ride lasts approximately 12 to 20 minutes. Entrance ticket is valid during all operating hours. Be sure bring a print out of your admission voucher to the cashiers desk upon arrival. It’s included in our Vienna pass, so we rode it. Nice cabin and you have a distant view of the Vienna city. Good family fun and kids would love it. 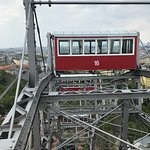 Get quick answers from Wiener Riesenrad Giant Ferris Wheel Vienna Entrance Ticket staff and past visitors.